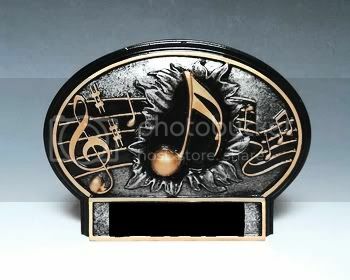 The above image is a real trophy, available for purchase and customized to your needs here. I used to have a rule: never trust a critic who likes everything. To this day, there are “film critics” who receive perks from movie studios, and like everything in a way that generates blurbs for advertising. I love the movie ad that says “best romantic comedy of the year”, when it’s only January. But the internet changes things a bit. I receive my music for free from artists and promoters who hope I will blog about it, but I receive no other compensation. I like everything I blog about, because I wouldn’t share it with you if I didn’t. When I hear something that is not to my taste, I don’t ask the artist to send it. If I like it less than I thought once I have it, I don’t post it. (But I also have plenty of wonderful music I just haven’t found time for yet. If something you sent me hasn’t appeared, don’t despair.) All of this is worth mentioning because today I am going to gush. It will be quite unseemly, so consider yourself warned. Here are five albums which I can heartily recommend in their entirety. But each contains a moment, a song, which blew me away even more than the album over all. This post, then, is devoted to those jaw-dropping moments. Other Halves is an EP with only four songs. 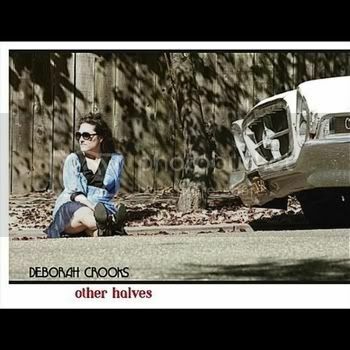 It ends with a cover of Neil Young’s Heart of Gold; this has never been my favorite song, but Deborah Crooks does it justice. The EP starts with two original Americana songs that are very fine. But the kicker is Blink. The song opens with just stand-up bass, and the listener is wondering where this will go. Are things about to turn jazzy? But then the drums and organ come in, and things become clear: this is reggae! There are no other instruments on this one, but none are needed. Crooks comes in on vocals, and it just gets better. She sings Blink in a sultry bluesy alto. It may not sound like these pieces should fit together, but do they ever. It doesn’t hurt that the lyrics are a beautifully written meditation on the passing of time, but that’s just a bonus. If you are going to open your album with an original musical setting of a poem by Emily Dickinson, you run the risk of having your own lyrics pale by comparison. 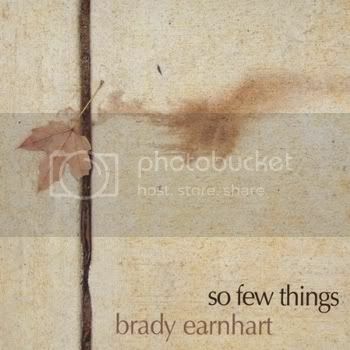 Brady Earnhart doesn’t have that problem, because he is a fine poet in his own right. He sings in a tenor voice that is both smooth and emotive. There is his acoustic guitar on every song, plus stand-up bass. To that, Earnhart adds wonderfully creative arrangements that can include horns or strings. I’m guessing from the way they are used that Earnhart has a background both in jazz and contemporary classical music. But This Time has only one other instrument besides guitar and bass: a tabla. This trio performance has a jazzy feel, but also a folky one. In that way, it puts me in mind of Pentangle. With just three instruments and his vocal line, Earnhart creates a dramatic tension in the music that really makes this one memorable. I am happily married to a wonderful woman. But, if I were available, this song could win my heart. Sublime is built on an arrangement of drums, bass, piano, and accordion. Add flavor with some gypsy violin and some acoustic guitar fills. 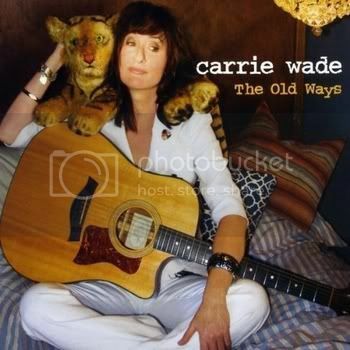 Then top it off with Carrie Wade’s beautiful voice. This is the most sensual song I have heard in a very long time. Elsewhere, this album contains mostly what I would call folk-pop, but Wade adds interesting and unusual instrument touches, and her lyrics are beautifully crafted. I hope she takes more musical chances in the future. Sublime assures me that I want to be around to see what she does next. 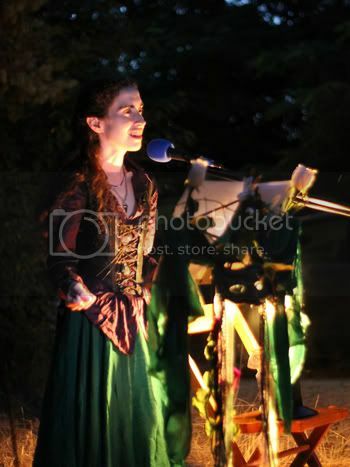 Jordan Reyne lives in New Zealand, where the story of Susannah Hawes has apparently passed into folklore. Hawes was one of the earliest European settlers, arriving in 1874. 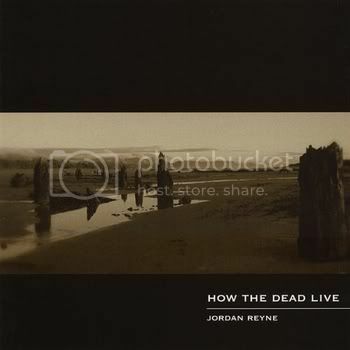 The album How the Dead Live is Reyne’s telling of the story of Susannah Hawes. Reyne makes History and Death characters in her telling. That is either going to come off as pretentious or amazing. Reyne sings in an alto that is almost a tenor, and she plays acoustic guitar and adds electronic effects. The whole thing has an ancient quality that really makes it work beautifully. The Brave is Susannah’s appeal to History to remember ordinary people like herself, not just generals and kings. This sympathy and human spirit really make this album work as a whole, and The Brave is one of the songs that really put it over for me. Craig and Auriol Hannaford write their songs together, and Craig provides sympathetic backing on acoustic guitar. Producer Hugh McDonald handles the background vocals and plays six instruments on the album Down the Line. So it can sound like a full band, or just a few musician friends jamming. The spotlight is where it belongs, on Auriol Hannaford’s voice. Auriol sings in a wonderfully warm folk alto with a bit of smoke in it. As I listened to it on the nicely varied program of songs here, it didn’t occur to me to wonder what it would sound like on a lullaby. But, coming almost at the end of the album, that would be She Grew. And this one really hits it for me. I imagine a mother singing this to her daughter over the course of years, telling the daughter what the singer’s mother was like at her age, and adding verses of the course of time. It’s a brilliant lyrical device, and Auriol’s singing makes it completely convincing. 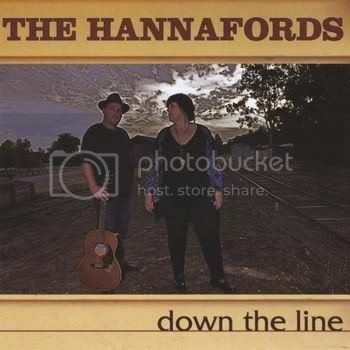 Hannaford certainly isn’t a Jewish name, but this melody has all of the best qualities of a Yiddish folk song, and that works beautifully with the lyrics and performance. Probably, most people who got into British folk-rock in the 60s heard Fairport Convention, were blown away, and went looking for more. They soon found Steeleye Span, and only later if at all did they find The Incredible String Band and Pentangle. But I had to be different. I found Pentangle first, specifically the album Cruel Sister. The first song on the album is A Maid That’s Deep in Love, so this song was my introduction. At the time, I knew almost nothing about British folk. I don’t even know why I picked up the album. But it soon became a favorite. 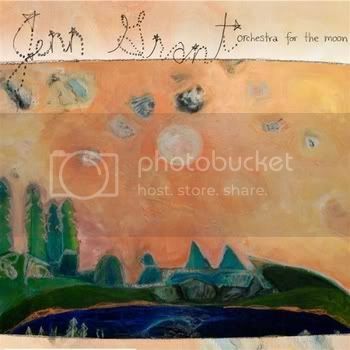 Pentanlge was the quintet of Jacqui McShee on vocals, John Renbourn and Bert Jansch on vocals, guitars, and diverse insruments, Danny Thompson on stand-up bass, and Terry Cox on drums and percussion. Looking back at it, I can marvel at that lineup, but I didn’t know these names at the time. (I was late to the party, by the way; this would have been in the 1980s.) Pentangle’s sound was mostly acoustic, but there were drums and jazz bass, and was that a sitar? It was. This was a combination of instruments I would never have imagined, but it worked. Today, it sounds as exciting to me as it ever did. A Maid That’s Deep in Love is a variation on a motif that comes up often in British folk songs: a woman who disguises herself as a man in order to find her lost love. He is often a sailor, as in this song, and she has not heard from him. This motif comes up because the British navy had a practice for too many years of abducting young men and forcing them to join the navy. If you hear the term “press gang” in a British folk song, it refers to the groups that carried out these abductions. 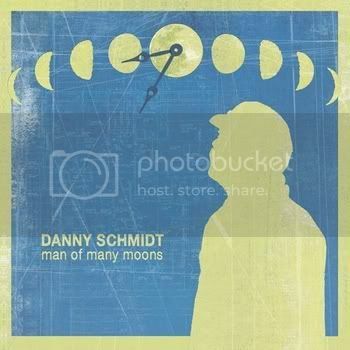 When I reviewed Danny Schmidt’s last album, instead the forest rose to sing, I said, “… most of these songs could be performed by Schmidt alone, with just his singing and acoustic guitar.” On Man of Many Moons, that’s very nearly what happens. There is also bass and second guitar on most songs, and harmonica on one song and a whispering piano is on at least one other. I really can’t be sure about the piano, because it’s way down in the mix, and very subtle. Carrie Elkin and Raina Rose contribute soft background vocals. But the attention is squarely on Schmidt’s playing and singing, and therefore on the songs rather than the arrangements. This gives the album as a whole an intimacy that makes Schmidt a good friend by the time you reach the last song. But this is not a set of confessional songs. Schmidt displays warmth and good humor, but some of the lyrics are like Zen teaching tales, offering material for pleasant contemplation rather than direct statements. The songs can also be enjoyed just for the sound of them. The music is wonderful, and Schmidt puts words together in ways that please the ears. I am letting myself off the hook for interpreting some of the lyrics. Schmidt has issued a warning to me and other reviewers about this. I posted two songs which appear back to back on the album. Guilty By Association Blues comments on the state of the world in a humorous way by using animals as proxies for the singer’s feelings. The singer is thus, theoretically, not responsible for the actions of the animals, but Schmidt is winking at us in this song; he knows better. Almost Round the World follows, and presents a shaggy dog story of how the lyrics of the previous song become the starting point for a global game of whisper down the lane. I hope this didn’t really happen. Almost Round the World seems to me to be a hilarious comic exaggeration, and a wonderful song. But this is why I am reluctant to interpret the lyrics where I am not sure of Schmidt’s meaning. I wouldn’t want to start something like what Almost Round the World describes. That said, I can tell you that Houses Sing, which opens the album, is one of the catchiest songs I’ve heard in a while, and it has been stuck in my head all day. Schmidt eloquently explains the difference between a house and a home. Little White Angels describes a drug addiction without preaching at all, and Schmidt is able to sympathize with the addict while still having a clear vision of the danger she is in. I believe that Two Guitars is about trying to write a song for the one you love, and it seems to me that Schmidt has more than succeeded. And On Abundance is a reminder to be grateful for what you have, even when it does not seem to be much; this is another time when Schmidt is eloquent without being preachy. The one cover here is a warm version of Bob Dylan’s Buckets of Rain, and Schmidt’s version fits in beautifully with his own work. I find the rest of his originals here to be somewhat enigmatic, but they invite further thought. At his most mystical, Schmidt stills welcomes you in, both with his words and his performance. When I heard his last album, I thought I would enjoy seeing him live. I still haven’t had the chance, but now I’m sure I would enjoy it immensely. What is Americana music? The short answer might be that it is a combination of country and rock, but that answer describes what country itself has become, at least on commercial radio. I’m old enough to remember when country music fans were horrified at the idea that The Eagles could be country. Nowadays, there are any number of Eagles clones on country radio. So, is Americana what was called country in those days? No, that would be alt-country, and that’s a partial answer to the Americana question, but only a part. If we are going to have an answer, I would argue for the broadest possible definition. American music as it exists today is a fabric woven from strands of various musical traditions. Some of these are themselves woven from even older strands. Music that celebrates these strands, and moves forward by looking back, is what I would call Americana music. This definition does not require that the musicians be Americans themselves. Indeed, two of the artists featured here are Canadians, and I also considered a band from Australia for this post. If my definition seems vague, it is best to consider some examples. Folk music is part of it. 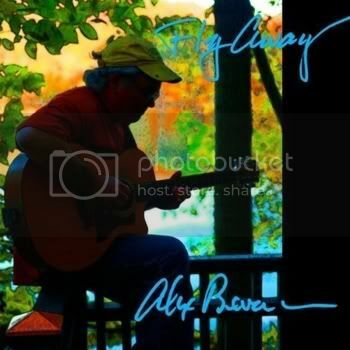 Alex Bevan writes all of his own songs, but they sound like traditional songs. His performance style helps to create that impression. He plays rhythm guitar, nothing fancy or showy, but his playing keeps time and drives his songs along beautifully. His voice is not a polished pop instrument, but it is genuine and has a real warmth. Bevan’s songs say that this is someone you would like to know better. Keep listening, and you will. This is the most important thing folk music should do. Darling Cory is an old mountain ballad that belongs firmly in the folk tradition. But Joel Fafard gives the song a blues treatment, and finds a resonance in the lyrics that completely validates this approach. Of course, this is an unusual way to do blues as well. Fafard’s vocal and guitar are fine, but the bass part starts with a single note drone, played with the bow, that really gives this one a wonderful haunted quality. Then the fiddle enters, playing the harmonica part, more or less. 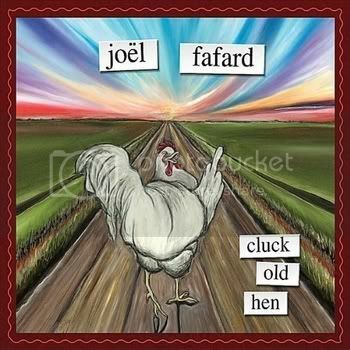 So blues is the foundation of what Joel Fafard does on this album, and the blues tradition is the source of many of the album’s songs, but it is only a foundation and Fafard is too original an artist to be completely bound by it. This is what I mean by moving forward by looking back. 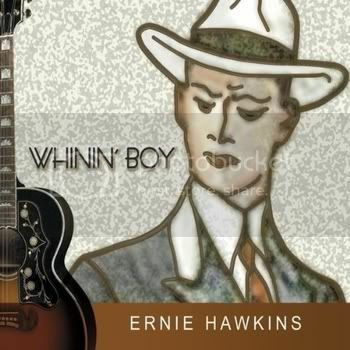 Ernie Hawkins takes a classic tune from Tin Pan Alley and relocates it to a region somewhere between Dixieland jazz and jug band music. Hawkins plays acoustic guitar and ukulele on the album, and the percussion heard here is a washboard. There is also stand-up bass, trombone, and tuba on this one, and there are some wonderful clarinet parts elsewhere on the album. There are existing recordings of groups like this from the 1920s and 30s. Hawkins displays a great love for the music, and his performance shines as a result. Would you like to get yelled at in Texas? I’m told that, in parts of the state, you can get that and more by saying that Bob Wills created western swing music. My father grew up in Oklahoma, and he heard the Light Crust Dough Boys and Milton Brown and His Musical Brownies on the radio. Bob Wills played with Brown in these groups, but only went out on his own after Brown’s death in 1936. Brown was the one who came up with the idea of combining elements of hillbilly music with the jazz and pop music of the day to create this new hybrid. The first western swing I ever heard was by Asleep at the Wheel. Encountering this music for the first time was tremendously exciting, and I have enjoyed western swing ever since. But I have not felt anything like that initial thrill of discovery until now. The Great Recession Orchestra is that good. This album is a set meant to set the record straight on Milton Brown, and the songs are all numbers that Brown performed. 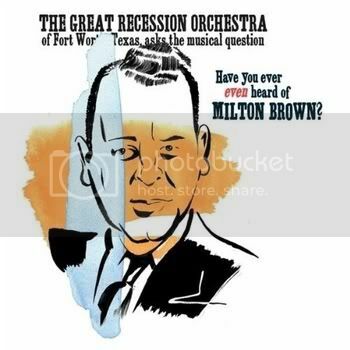 But The Great Recession Orchestra shows why this music matters to them. They are especially strong on the slow burners like Fan It. As I said at the start of this post, country is part of the puzzle that makes up Americana music. It is possible to define country music itself by stripping away the production and performing styles du jour, and looking at what lies beneath. The Laws offer that kind of stripped down approach to country, and they show why that’s all you need. So, take a well written love song, (check), add a wonderfully emotive female singer who doesn’t need to overdo it, (check), and then you don’t need much more than an acoustic guitar and maybe a bass part. The second guitar playing the beautiful Spanish guitar solos on Walking Away is a delightful bonus. Some of the songs here are somewhat more arranged, but the music is still made with a light touch, and the songs don’t need any more help. John Law takes the lead vocals on some of the songs; he has a fine voice as well, but I enjoyed Michele Law’s voice more. Overall, this is what country music should sound like. You shouldn’t have to do more than this to make it work. Allison Tartalia plays keyboards, (mostly piano), and sings. Her voice can be smoky or warm. Her expressive range as a singer is impressive. Her music contains hints of jazz and cabaret. It all adds up to something I want to hear more of. This post is a little different than my usual fund raising appeal. I found out about this one on short notice, so there was no time to get a song to offer. But you can hear the music of Allison Tartalia by following the appropriate link above. She’s running her campaign on Rockethub, which is new to me. But it works like Kickstarter as far as having a deadline, and paying all or nothing. Allison Tartalia has only until 11 PM eastern time on this coming Sunday, so she needs angels who can be generous. Of course, small donations will also help. As always, whatever you can do is greatly appreciated. Sometimes, choosing a song for the For a Song feature is difficult. It can require digging through my memory banks to find the song that perfectly matches my mood that week. But this week, it was easy. Put simply, Blister in the Sun got stuck in my head for no reason that I know. It popped in there while I showered, and then it came back at odd moments throughout the day. I decided that featuring it might be the best way to get rid of it. So here’s hoping it works. Luckily, I do actually like the song. It may not be the most covered song of the 80s, but there are clearly a number of people who like it too. So, I thought it would be fun to return to one of my favorite themes: what makes a good cover? It’s a tricky business, because it must capture something of the original, and yet, the artist doing the cover must also make the song their own. For me, the three covers included here succeed on both counts. But let’s begin with the original version. Blister in the Sun is a simple song. Two verses and one chorus have only two lines of lyrics each, and there is no bridge. The lyric is so skeletal that it is hard to say what the song is even about. There seems to be some young lust involved, and also some drug use, but it’s hard to say for sure. This invites cover versions, with artists finding different meanings in the lyric, and having these interpretations color how they approach the song. What the song does have is a great rhythm. The beat is in the guitar part, with the drummer punching in off the beat to really drive the song along. When the bass comes in on the chorus, it really makes the whole thing go into overdrive. So Blister is a fine example of the drive of the best new wave music. But the instrumentation is mostly acoustic, which really made the song stand out in 1983, and it still does. Look for a familiar song in Amazon’s mp3 store, and you will discover that the world is filled with groups that do nothing but tributes. These groups turn out full albums of this stuff quickly, and they seem to only need to sell a small number of songs to get by. I can’t help thinking that most of them are not very good. Vitamin String Quartet is certainly in this category, and I don’t even know what made me check this one out. But I’m glad I did. Of course, they have arranged Blister for string quartet, and they do the song as an instrumental. So, they are drawn to the sheer force of the rhythm. They have to make changes for the instruments they have, but they capture the excitement of the original. I assume that the musicians in Vitamin String Quartet have classical backgrounds, because they do a wonderful job of playing Blister as a theme with variations. It sounds strange, but it really works for me. Blister in the Sun contains the lyric, “Man, I’m so strung out.” Bruce Lash latches on to this. He slows the song down, and gives it an exotic percussion treatment. For me, this emphasizes the drug references in the lyric, and also gives the narrator a slightly dangerous edge. The arrangement has a completely different feel than the original, but it works. Finally, we have Eric Anders’ version. He strips away the rhythm scheme entirely, and renders the song as an atmospheric ballad. He also alters the lyrics, with a surprising result. He changes “I” to “we” in most places, and loses the words “big hands” from the chorus. Suddenly, the song becomes either a generational anthem or a love song. It’s a radical transformation, but Anders makes it stand up. How‘s this for irony: last year, I opened my review of Pesky J Nixon‘s latest album by asking why the album existed. I explained that the band had recorded all but one of the album’s songs before, but that now the songs had the full arrangements the band had always intended. Now, I have before me Magnetic Skyline by Corinne West and Kelly Joe Phelps. Corinne West has recorded all eight of the album’s songs before, but now the arrangements are stripped down to just two acoustic guitars and two voices. And it works. The press materials for this one talk about a true musical partnership, but I think it is fairer to say that working with Kelly Joe Phelps has allowed West to find her voice as a musician. This is Corinne West’s album all the way. She wrote six of the eight songs, and she takes lead vocals on all of the songs. She sings in a clear alto with lots of subtle colorations. Phelps handles background vocals, and usually sings on the choruses only. I can’t be sure, but I believe the instrumental roles are the reverse of that; Phelps plays lead, while West provides solid rhythmic support. But that is a bit of an oversimplification. One of the joys of Magnetic Skyline is the way the two guitars interact with each other, with their parts intertwining. Phelps does a great job of blending vocally with West, so these are two musicians functioning as one. But, if they continue to work together in the future, I would love to hear some songs chosen by Phelps. That said, Magnetic Skyline is what it is, and the results are very fine. Corinne West is a fine songwriter. Her lyrics have a strong visual component, almost like musical paintings at times. For the two covers on the album, West has chosen two songs by Joe Tomaselli. I have never heard of him before, but these are great songs. Each is a finely wrought character portrait. Horseback in My Dreams presents a factory worker who yearns for a very different life, while Amelia is a woman living among coal miners who bears up for an entire community. Corinne West’s characters are equally well drawn, but she uses details of their appearance to let us get to know them, where Tomaselli uses the details of their stories. The contrast in styles strengthens what would have been a fine album in any case. Mother to Child is a lullaby that should become a classic. The mother’s love comes through so clearly, and the song has a wonderful tenderness, but is never cloying. Lady Luck has some of the best guitar work on the album. 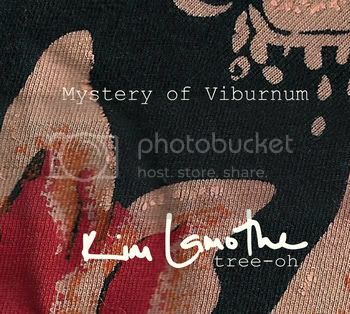 The song has a mystical quality to it, and an ambiguous ending. Was it good luck or bad? It’s left for the listener to decide. River’s Fool has some of the best visual writing on the album in its lyrics. So a group of already fine songs are set free here by the stripped down arrangements, and by the magical interplay of two very fine musicians. I am left wanting to hear more from them, especially some new songs. Maybe Kelly Joe Phelps will choose some of the songs and sing lead on them next time. Or maybe not. Either way, it will be worth hearing. I have a nice problem. I receive too much great music. Sometimes, unfortunately, that means that I set aside an incredible album, and it winds up in the stack. So this week, I decided to get into the stack, and feature some artists who have waited longer than I ever intended. It happened that they all have two things in common: all are female singers or groups fronted by female singers, and the singers are all amazing. They are working in very different styles, and showing that there are many ways to sing incredibly. Put another way, there are many ways to put over the emotion of a song. 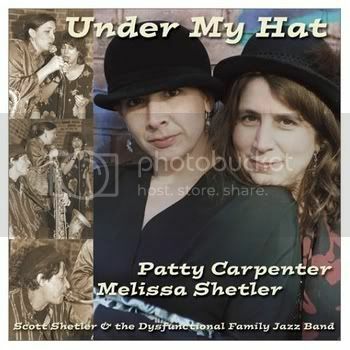 So here are Patty Carpenter, Melissa Shetler, and the Dysfunctional Family Jazz Band. Look closely at the album cover, and you will also see Scott Shetler’s name. This is easily the most unwieldy band name I’ve ever seen. Nowadays, they record as the Dysfunctional Family Jazz Band, and they have broadened their sound. But this set, from 2002, is a fairly straight ahead jazz set. Then again, Angel From Montgomery is the song you think it is, and probably the only time there has been a jazz cover of John Prine. These folks make it work. Patty Carpenter and Melissa Shetler trade lines seamlessly, and blend beautifully on the chorus. Female jazz singers are often either sweet and flirty, or smoky and seductive. Here, we got one of each, and it really works. The arrangement reminds me of Cannonball Adderley’s Mercy Mercy Mercy; I never would have thought of doing that with this song, but it too works beautifully. 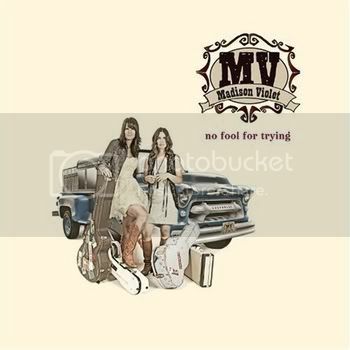 Madison Violet is the Canadian duo of Brenley MacEachern and Lisa MacIsaac. MacEachern handles lead vocals and plays several varieties of guitar. MacIsaac sings background vocals and plays guitar and fiddle. They deliver folk vocals at their best. 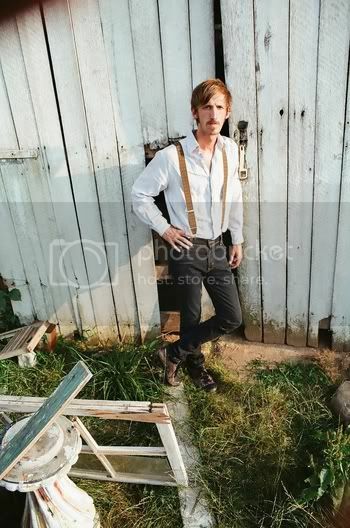 The Woodshop is an original song in which a young man dies before his time. The song is not very concerned with how he died. Instead, the focus is on how each of the family members left behind deal with the tragedy. The spotlight shines briefly on each of them in turn, but the song says everything it needs to about each of them. This is a tremendous piece of songwriting, and the vocals of MacEachern and MacIsaac seal the deal. 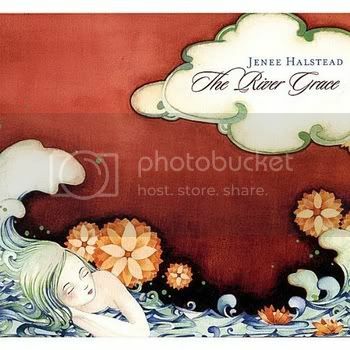 Jenee Halstead sings in a voice that is perfect for the borderland between folk and country. I could easily imagine her harmonizing with Emmylou Harris, (if that ever happens, I hope someone will make sure to let me know). Darkest Day also reveals her to be a fine story teller. Here too, we have the death of a young man before his time. Halstead’s vocal perfectly captures the aching emotion of this. Compare it to the Madison Violet song above, and you will find two very different ways of performing the same emotion. Dave Mattacks is a big name in British folk-rock. He was in the original line-up of Fairport Convention, worked extensively with The Incredible String Band and Richard Thompson, and later worked with Steeleye Span and even Jethro Tull. 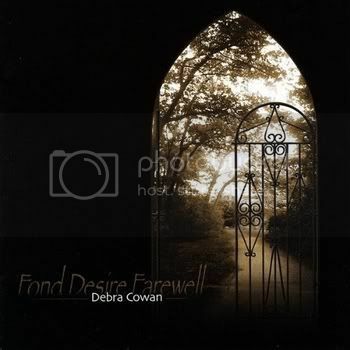 So it says a lot that he was willing to produce Debra Cowan’s latest album. Cowan is the owner of one of those great Celtic/ British folk voices. What is surprising is that she does the British and Celtic styles equally well. She does a wonderful job of setting the dark mood that many traditional British songs require, but she can also pull off a more modern tone for contemporary songs, as heard here. Lili Marlene Walks Away is a song by Bill Caddick, who I am not familiar with. But Cowan must also be a story teller, even though the words are not her own, and she is more than up to the task. Daniel Levi Goans is a solo act with the rare ability to let you hear a backup band that isn’t there. I can tell you what instruments there are and what they are doing. But it’s just Goans playing acoustic guitar and light percussion. Sometimes he adds a bit of piano, and he provides his own background vocals. Heights So High comes from his debut album, Choice Cannonballs. Now Goans is working on the follow-up, and he needs your help. Please give what you can. Urban Sun is halfway there, with 19 days to go as I write this. It’s getting to be time for an angel or two, but small donations will also really help right now. The Scarlet Furies seem to be stuck right now. Sometimes, it only takes a small donation to open the taps again. This promises to be one of the best Americana albums of the year, if they can just get it made. Please give what you can. Leannan Sidhe is down to 8 days left as I write this, and she is so close to her goal. Can someone put her over the top? On behalf of all of these artists, thank you for whatever you can do to help. I’m sure that I am older than many of my readers. I first heard Steely Dan’s song Peg when the album came out. Peg was one of the hits that you couldn’t escape on the radio that year. I didn’t like it. Peg, and indeed everything off of Aja sounded overproduced to me. It sounded like the rest of the big productions that surrounded it on the airwaves. But, over time, my bias against overproduction began to waver. And Peg endured. Maybe as much as ten years later, it would still come up sometimes on the radio. At that point, I came to understand that Steely Dan was not like those other big acts of the 1970s. Intricate arrangements did not have to mean overproduction. And I started to realize that Steely Dan’s songs were not about the things that insipid pop songs of the 79s were about. Peg is as close to a love song as Steely Dan ever created. The lyric is brief, and it describes feelings of adoration for a movie star. There isn’t really a twist in the subject, as there so often is in Steely Dan’s songs. But once you find subversion in their lyrics, you start to look for it in other places. Steely Dan gave their music a pop sheen that they perfected on the Aja album, but it masked jazz sensibilities. Listen to the chorus of Peg, and you will here a nice tune that you can almost sing along with. But then something goes horribly wrong on the words “in 3-D”. I first bought the album on vinyl, and the first time I heard that chord, I stopped the record and took it off the turntable, and inspected it closely. It looked OK, so I put the needle back on Peg, and it did it again. Again I stopped the record to inspect it, and again I found nothing. For those who may be unaware, vinyl albums can sometimes get warped. The surface can bend ever so slightly, and it causes horrible changes in the notes of the music. That’s what I thought happened. 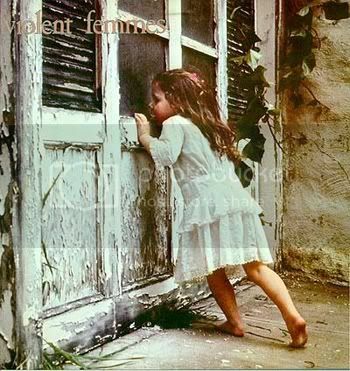 But it was strange, because the rest of the album was unaffected. Of course, the record wasn’t warped; that’s just a really weird chord in the vocals. I’m told that it is a jazz chord, and that given that, it makes perfect musical sense. If anyone can explain the theory behind this, please feel free to comment. Sarah Blacker sings in a twangy alto that floats in the quiet numbers, while still being full of emotion. Sarah Blacker sings in a twangy alto that swoops and soars in the all-out rockers. It’s clearly the same singer in both contexts. 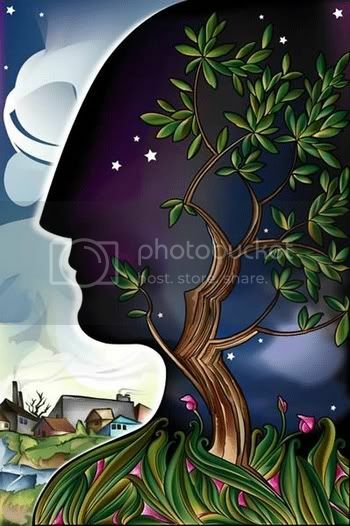 Some singers have a rock voice and a folk voice that could be two different people, but Blacker doesn’t need to do that. She doesn’t strain to get the volume, and she loses none of her feeling when she sings more quietly. I prefer the quieter numbers for their subtlety and the fact that the words become more of a centerpiece of the song. But Blacker’s dynamic range is remarkable. Blacker is also one of the few singers I know of who can elongate words by adding syllables, and make it sound good. In that way, she reminds me of Phoebe Snow. 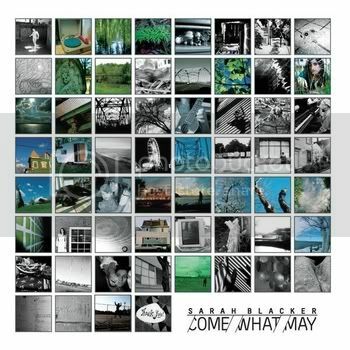 Most of the songs on Come What May have drums, bass, acoustic and/ or electric guitar, and keyboard. So changes in texture don’t come from the instruments, but from how they are used. 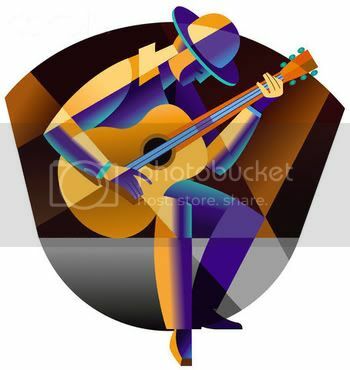 There is all out rock on When I Was New, more of a country-rock feel on Drivin’ and a more acoustic setting and a bit of a jazz feel to Ponder. I’m Like a Train, My Lord is just voice and acoustic guitar, while Not All the King’s Men is voice and mandolin. I miss the accordion that Blacker used on her last album, but this is still a wonderfully varied set. The songs are mostly about relationships, but not all are love songs, at least not in the usual sense. Friend seems to me to be about the slow fading of a friendship over time. This could be a friendship that the singer wanted to become more, but Blacker’s writing perfectly captures the tentative quality of the situation. Not All the King’s Men depicts a narrator who falls for wounded birds, but finally realizes that she can not save a person who does not want it. This could be about a relationship, or a string of relationships. Either way, having been in that situation when I was younger, I can tell you that the song rings true. Elsewhere, there songs of desire, (Ponder and Smitten), and two very different kinds of brush offs, (Knocked the Winds and Shining Giant). Over all, what is clear is that Blacker has a clear sense of the subtleties of human emotion, and she can write songs of finely shaded emotion. Those fine shadings mean that Come What May is the kind of album that will start conversations about how each song should be interpreted. That is something that only fine songwriters achieve. Sarah Blacker proves here that she belongs in their company, and she backs it up with the quality of her performance. One thing that I prize in the music and musicians I listen to is imagination. Sometimes, that means taking a song that is known in one style and utterly transforming it by playing it in another style entirely. But, for artists performing original songs, it means using instruments in unusual ways or combinations. Sometimes, the instruments themselves are unusual. In one song, or over the course of an album, the artists revels in the fact that they are not bound by the rules that govern others. Some of the music made with this attitude is frankly horrible. But, when it works, the results can be spectacular. Let me show you what I mean. Kim Lamothe sings in a sassy alto, almost speak-singing at times. Yet, she definitely gets the emotions of her songs across. Lamothe plays acoustic guitar, putting it aside on one song to pick up the ukulele. She has a drummer, and her stand-up bass player sets down the bass to play electric guitar on one track and banjo on another. So, you might expect a folk album, or perhaps something with the feel of early jazz. The album opens instead with a brief instrumental that I would call mood music for lack of a better term. You have been put on notice to set aside your expectations. Then, the album starts to rock. Just as you are getting used to that idea, the music slows down, and there is a jazzy ballad. But this brand of jazz is completely modern. Then there is a sort-of-folk piece, and then another moody instrumental. Next is Reclaim/ Rearrange. The song opens with an odd guitar figure that seems to have something missing, but doesn’t. the rest of the band comes in and you realize that you are hearing funk. And really good funk, at that. The rest of the album keeps trying on different musical suits, but it doesn’t sound chaotic at all. Lamothe and her band make the whole album sound like it belongs together. I’m still not sure how they did that, but it really works. The Heavens is the first track of a five-song EP, and the imagination of Chloe Charles is fully on display from the start. Her voice is somewhere between soulful and operatic, and it’s an amazing instrument. I could tell you that the band on The Heavens includes tabla, sitar, and some sort of Indian flute, and you could almost believe it. Actually though, it’s drums, stand-up bass, acoustic guitar, and violin. The bass player bows his instrument to set up a drone on the verses, and plays normally on the chorus. The drummer plays an unusual rhythmic pattern, and gets a tone I didn’t know was possible from a standard drum set. And the violin sounds otherworldly, both because of its tone and the way it is recorded. 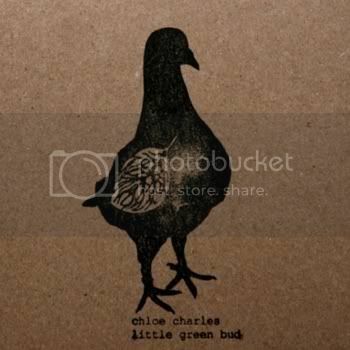 Chloe Charles’ guitar part completes the sound perfectly. There are additional instruments on some of the other songs on the EP, but it all sounds as amazing as this. Jenn Grant is a musical chameleon. Her songs can display keen pop instincts, but she also draws on cabaret, folk, and country, to name a few. This varies from song to song, but it all comes to a head in Briit n’ Kip. The song starts out sounding like something out of a spaghetti western, except for one odd instrument; that’s a bass harmonica. Then the song suddenly becomes a pop-rock number. That dissolves into a brief waltz with a string quartet. Finally, the song rides off into the sunset on a pop-funk groove. It’s almost like having four movements, but in just a three minute song. The amazing thing is that it all makes sense as a single song. Jenn Grant sings it that way, never losing track of the song as a whole, and she takes us right along with her. 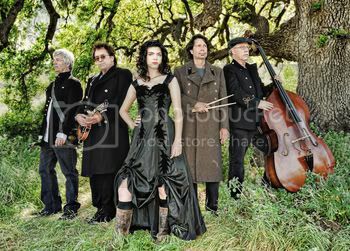 The Scarlet Furies have been selected to do a Showcase Presentation at the 2011 International Folk Alliance Convention in Memphis. While there, they want to go into Sun Studios to record their next album. So their fund drive will get them there and cover paying for the studio time, among other things. Based on their sound and this opportunity, I think we’re all going to be hearing a lot about them soon. Raleigh Holmes draws the listener in; her voice is a beautiful alto, very clear and full of feeling. Behind her, the band plays beautifully crafted country-folk arrangements. Young Goodman Brown shows how good the songwriting can be. Give you what can to this one, and you will be able to say you were there at the beginning. I wrote about Urban Sun‘s campaign last year. They have 27 days left as I write this, and they have a ways to go yet. I posted about Kristi Martel and Kim Davidson raising money on their own to make their albums, and I have posted reminders since. But I only gave the links for donating in the first post, so I thought I should give those again. And this one to help Kim Davidson. Thank you for whatever you can do to help. The “members” of Redbird would like you to know that it is not a group; rather, Redbird is what happens when three friends get together and make music. There is a forth friend who lends support on electric guitar and contributes one original tune, an instrumental. 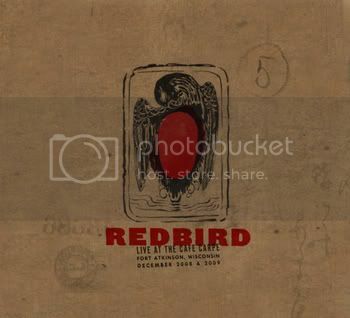 Redbird is more than worth hearing, because the three friends are Peter Mulvey, Kris Delmhorst, and Jeffrey Foucault. The forth friend is David Goodrich, who is less known because he does not sing, but he is a fine, supportive player. Every year for the last five, these friends have gotten together at the end of the year for four shows at Café Carpe in Fort Atkinson, Wisconsin. This album is culled from the 2008 and 2009 shows. I would not call this album a document of these shows. In the interest of including as much music as possible, the decision was made to leave out most of the stage patter between songs. So, the listener does not precisely get the feel of these shows. On the other hand, these certainly are not polished studio performances either. The intimate quality of a show at a small venue has been left in, so there is applause and some audience noise, and there are comments by the musicians. In a couple of spots, the musicians seem to get a barely suppressed case of the giggles. What comes through is the enormous talent of the artists, their level of comfort with one another, and the energy they receive from the crowd. The format of the album, and I presume the shows as well, is a song swap. One artist starts things off with a song, and that reminds the next artist of another song, and so on. 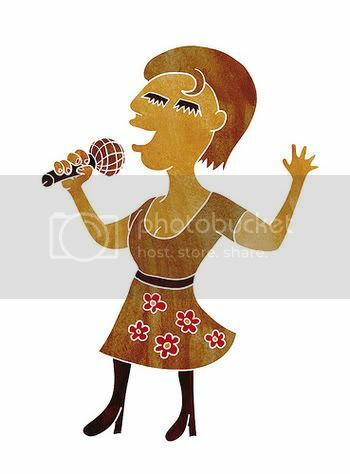 Usually in a song swap, an artist will start a song alone, and then the others will find their parts, entering tentatively at first, and then singing and playing more confidently as the song goes on. That often happens here as well, but there are also songs that Mulvey, Foucalt and Delmhorst have played together often enough that the confidence is there from the beginning. The guitar styles of the three also have a bearing on things. Mulvey started out busking in the Boston subways, so he developed a guitar style that fills space to compete with the noise of the trains. Foucault has a blues and country background, and he plays a lot of lead lines. Delmhorst has a classic folk approach, where her voice is the lead instrument, and she plays a rhythm guitar part to accompany herself; that means that it is easiest for the others to join in on the songs Delmhorst starts, so her songs come together faster than the others. Stewart’s Coat is one of these, and it is the finest ensemble performance on the album. I particularly enjoyed the call-and-response vocals at the end of the song. It is fairly easy to talk about the songs each artist starts, even though each only contributes one original song to the album. Mulvey contributes three upbeat numbers, but his ballad selection is one of the albums highlights, a beautiful take on Come All Ye Fair and Tender Ladies. Foucault brings the album to a rousing close with his own 4 & 20 Blues, and also contributes another uptempo number and a country ballad. He also starts the two ensemble numbers, Ships and a goofy cowrite by all of the artists involved, Phonebooth of Love. For this one, the musicians are joined by Barry Rothman on harmonica. Phonebooth of Love is a piece of strange humor spoken over a tight blues groove. Delmhorst’s contributions are four ballads, all rendered beautifully. There is also an instrumental ballad by David Goodrich, Snowed In. So the balance of faster and slower numbers is perfect here. The energy level is consistently high, as is the musicianship. When you’re in the mood to listen to live folk music, this album would make a fine choice. Live at the Carpe Café comes out on January 25. Keep an eye out for it.